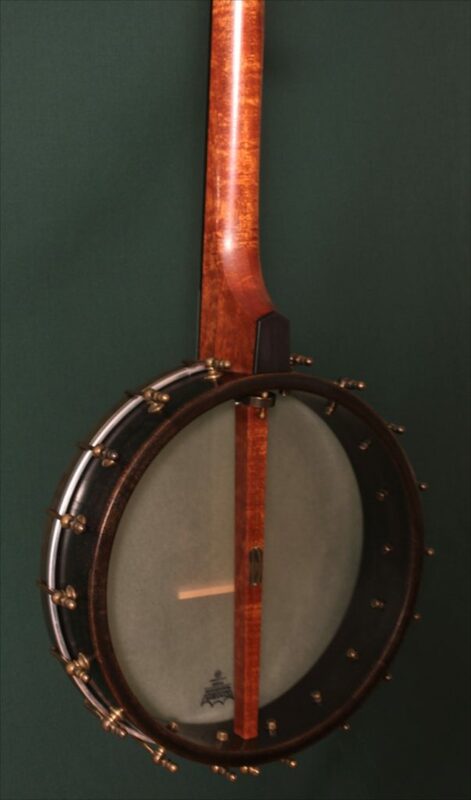 This Mahogany and Claro Walnut banjo was built for talented Vermont musician, Jeremy Sicily. 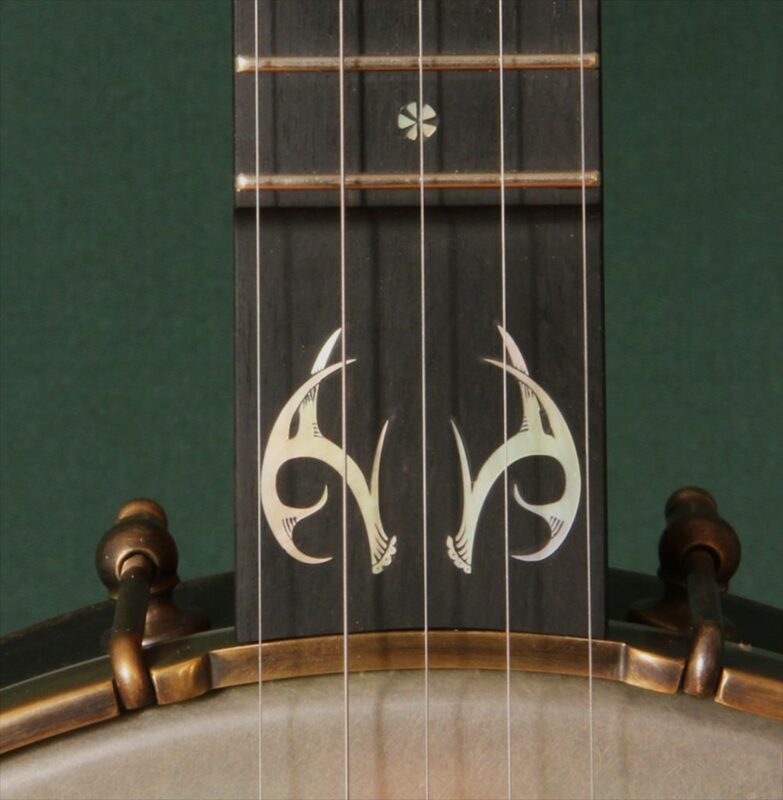 It features a twelve-inch pot with with Vermont-themed custom engraved inlays. 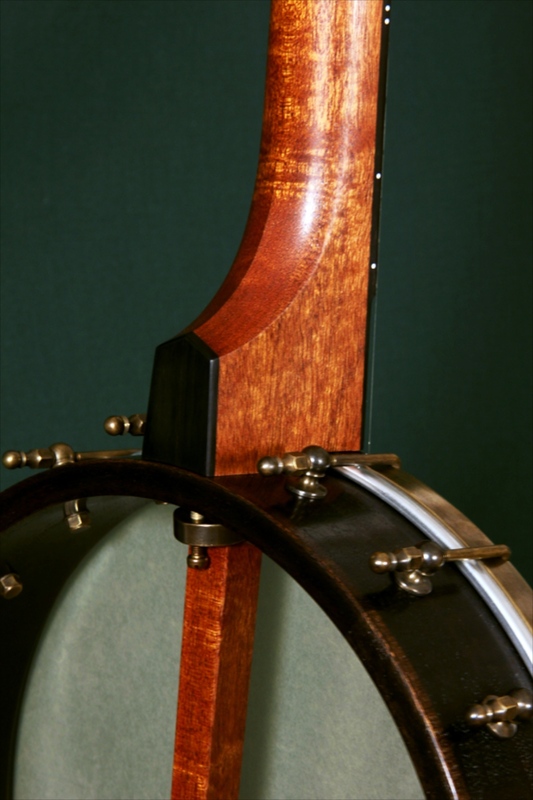 The twelve-inch stained black pot is made from Claro Walnut with a Mahogany rim cap and Wenge tone ring. 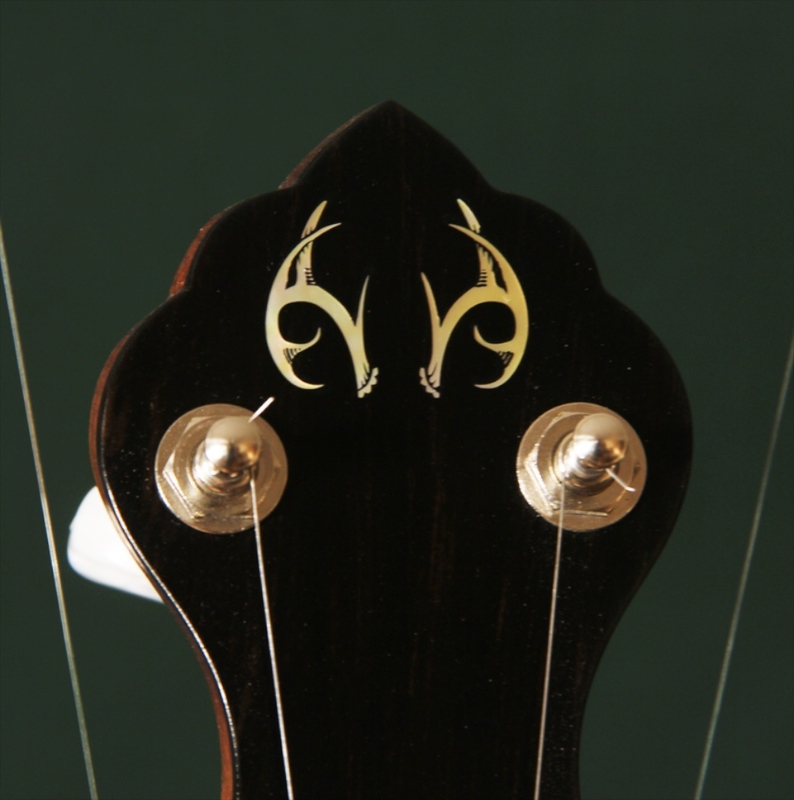 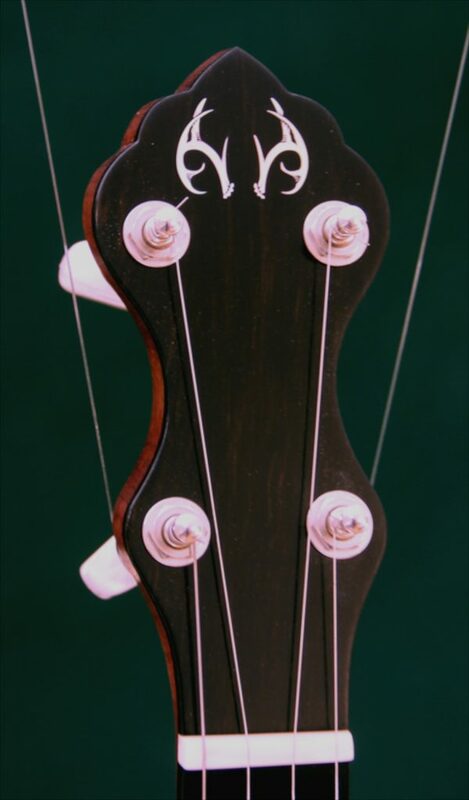 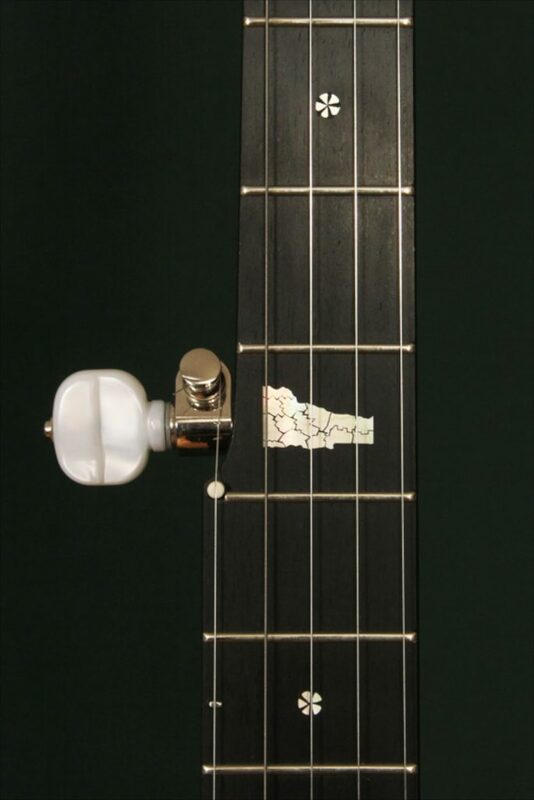 The neck is a beautiful piece of curly mahogany that features a ogee neck carving behind the fifth fret. 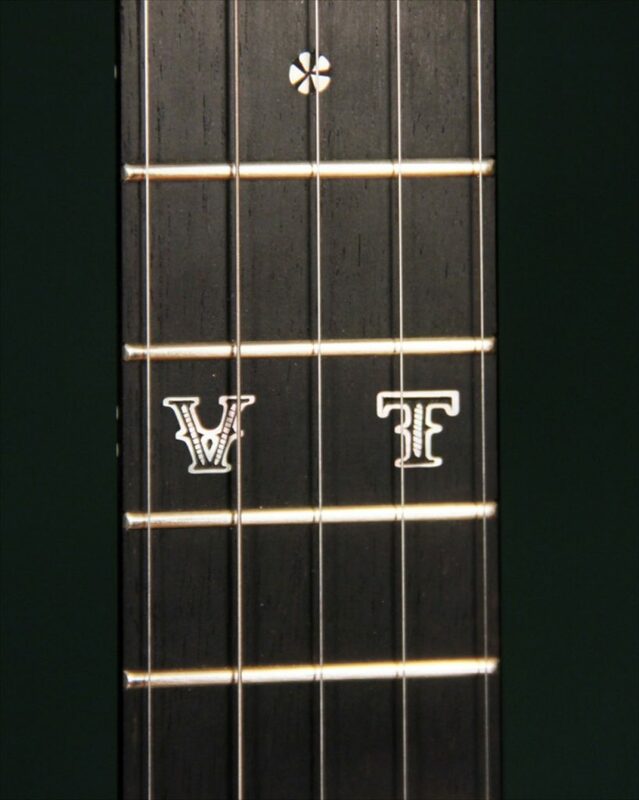 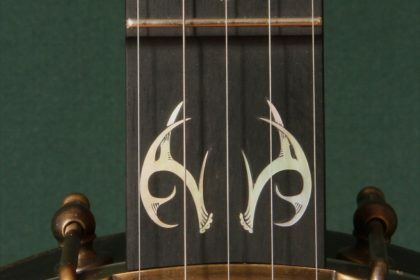 The state of Vermont inlay at the fifth fret features an engraving of Vermont’s counties. Listen to Jeremy’s band the Flat Top Trio.